Today was my final day spending some time with my parents, and it was time for me to head back home to London. 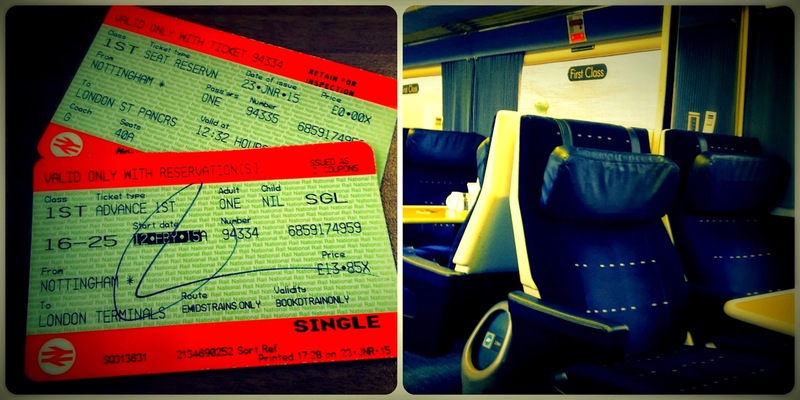 Now of course I had to travel in style so I went first class, which little tip if you book a month in advance is really cheap plus if you have a railcard it's an extra bonus cheap bonus on the price! The seats are comfortable and the service was lovely today. For example, I couldn't open my bottle of water so the guy that was handing out teas and coffees help me to undo it and mentioned they always seem to have a problem with these and it pays off for him going to the gym. Maybe because I have started going to the gym I might be able to open really tough bottles of water. 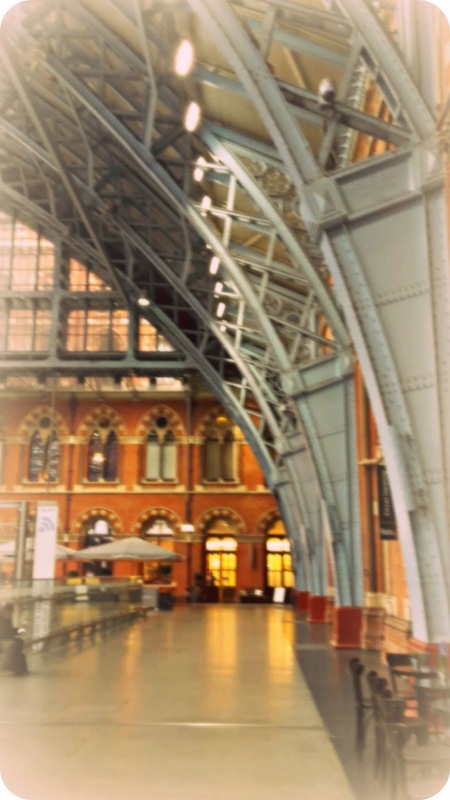 The journey was quick and pleasant while I was sat watching Sherlock Holmes, that I never got to finish as we had pulled up into London St Pancras with 30 mins left to spare on my film. I will probably have to finish that off tonight. I know I have not been brilliant posting for my 52 week challenge, but the theme for this week was black and white and with a little help from my mum we suggested I could photograph the station. 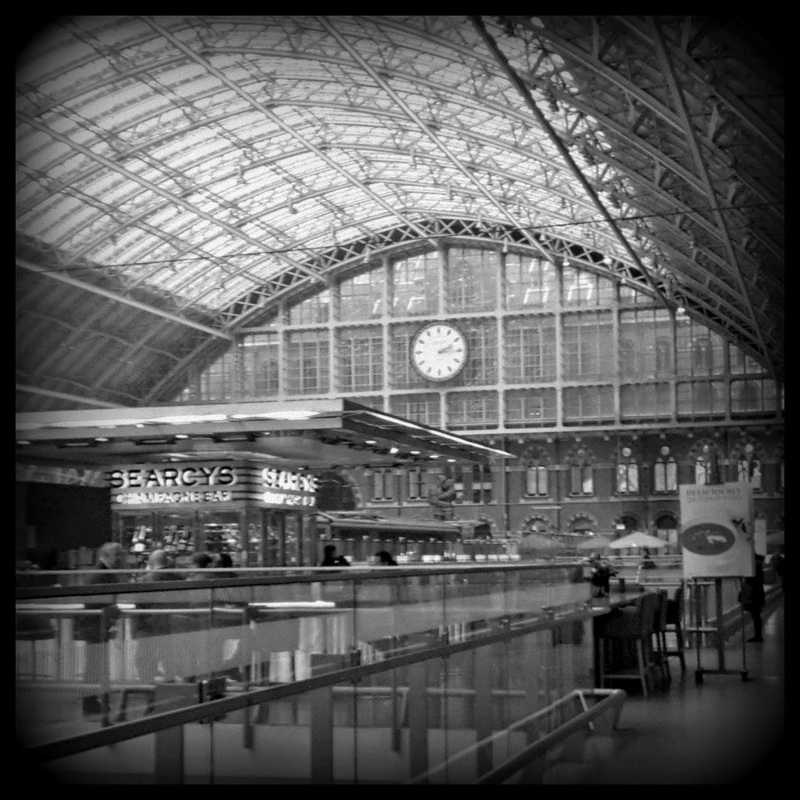 Now I have never really looked at the station but it has lovely architecture (here I go again with the architecture) and the metal work looked stunning so a perfect opportunity for black and white. If anyone visits this station just take your time to have a look at the building and look up its superb.